Probe into ex-Moscow Region Finance Minister charged with stealing $220 mln completed | Russian Legal Information Agency (RAPSI). MOSCOW, April 12 (RAPSI) – Investigation into ex-Finance Minister of the Moscow Region Alexey Kuznetsov charged with embezzling over 14 billion rubles (about $220 million at the current exchange rate) has been completed, the Investigative Committee’s press service reports Friday. By today, 16 victims in the case have finished reading case papers. Kuznetsov and his defense have begun reading more than 300 volumes of the criminal case. Kuznetsov, who fled abroad in 2010, was extradited from France to Russia in January 2019. According to investigators, from 2005 to 2008, a group organized by Kuznetsov unlawfully obtained the right to recover debts of enterprises operating in the housing and utilities sector of the Moscow Region and embezzled funds of the Moscow Regional Investment Trust Company. In total, they stole over 14 billion rubles, investigators claim. Other defendants in the case have been already convicted and sentenced. Ex-deputy finance minister of the Moscow Region Valery Nosov has received 14 years and 9 months behind bars. 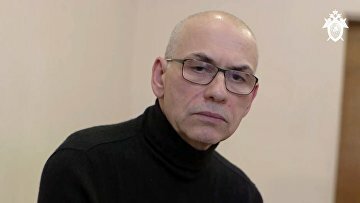 Ex-CEO of the Moscow regional government's Moscow Regional Trust Company Vyacheslav Telepnyov has been given 10 years in prison. Moreover, in January 2018, Moscow’s Basmanny District Court sentenced the U.S. citizen, real estate mogul and ex-wife of Kuznetsov Janna Bullock to 11 years in prison in absentia for embezzlement.